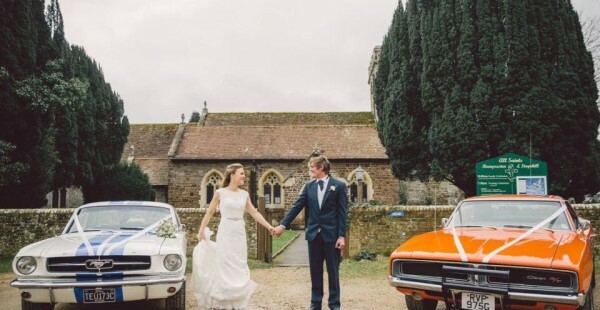 Dorset, Hampshire (not Southampton), Somerset and Wiltshire. 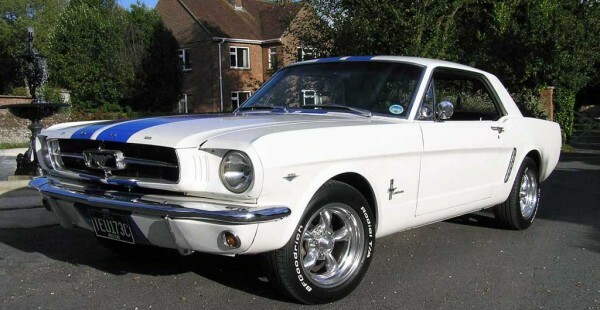 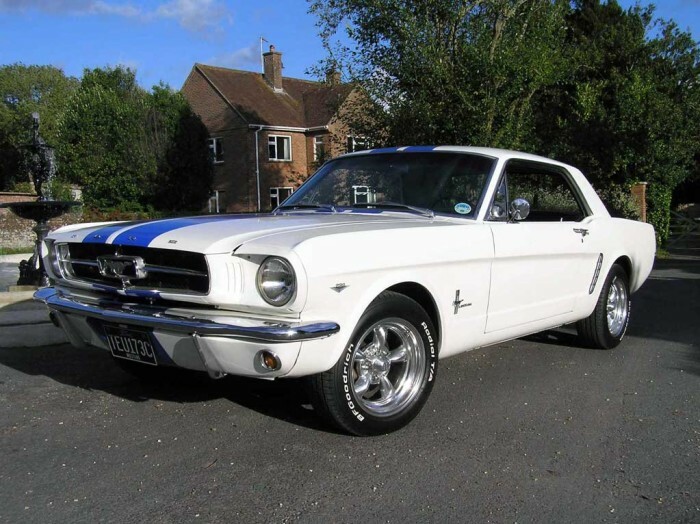 This beautiful 65 Mustang Coupe with its elegant classic looks makes the perfect wedding car. 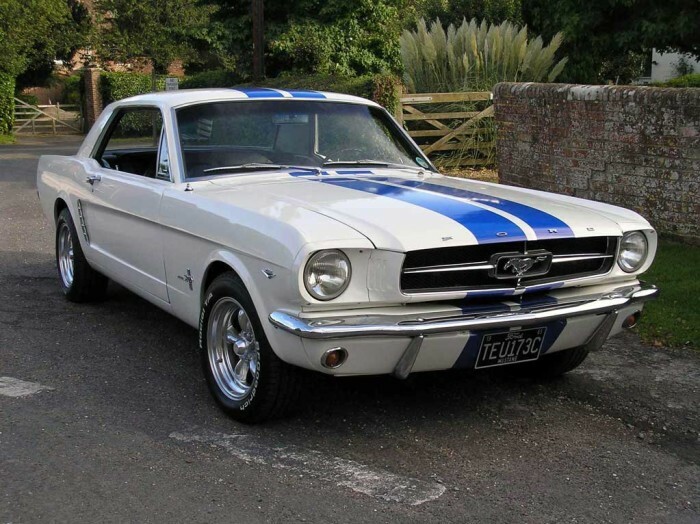 Finished in white with blue shelby stripes, the Mustang appeals to both grooms and brides. 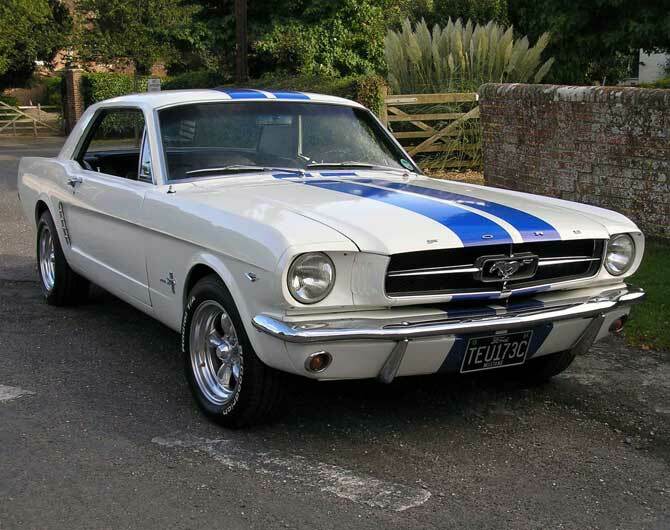 The ’65 coupe has the classic design that Ford first delivered. 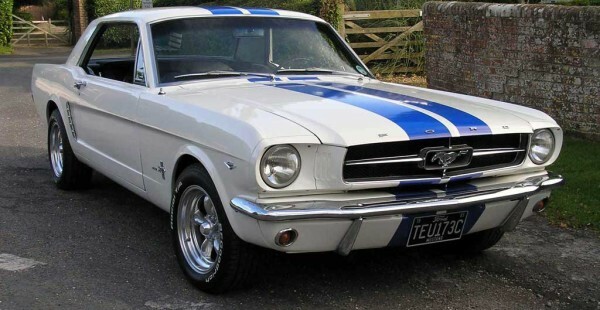 Ford themselves said: No one knew the Mustang was going to be as popular as it was, but it created a huge stir in the company. 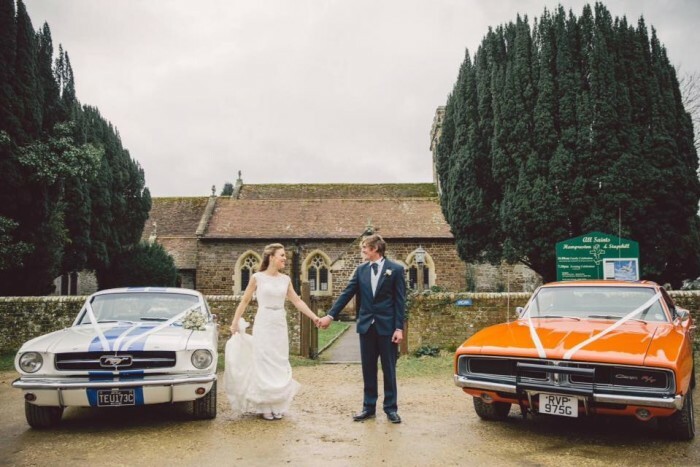 A superb wedding car which always looks stunning in photos, this Mustang is very popular, please make an enquiry to secure the car for your wedding day.